The gates of cross-platform play on PlayStation 4 are now open, and more titles outside of Fortnite will allow Xbox One, PC and Nintendo Switch players to enjoy games together with PlayStation 4 users. Rocket League is among the titles that would benefit the most from cross-platform play, and it seems like the team is as determined as ever to make it happen. On the Rocket League subreddit, Psyonix CEO Dave Hagewood released a statement regarding Rocket League crossplay, saying that it’s always been one of the team’s main goals and it still is a priority. Unfortunately, players shouldn’t expect anything major on the matter soon, as it will take some time to create a truly unified Rocket League community. Cross play across all consoles is a subject that is near and dear to my heart. It has been my passion since the inception of Rocket League and I have constantly encouraged my team that we not only have the opportunity but the obligation to be pioneers in bringing gamers together regardless of platform. Games may come and go but it is not often that you have the ability to be part of a real step forward in online gaming. 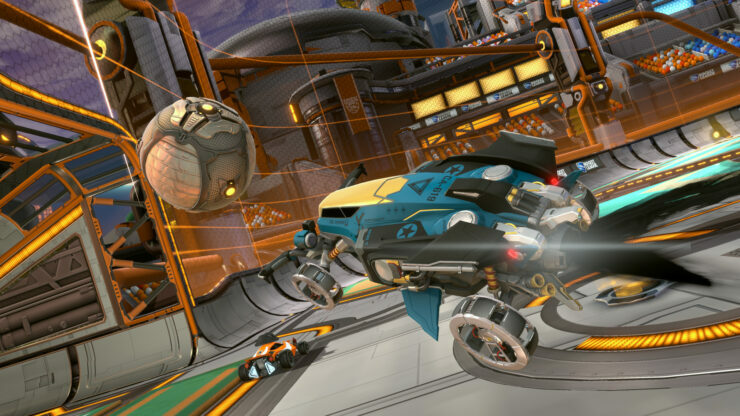 We built Rocket League to be a cross-platform game from the very beginning. It has been a Psyonix mandate that our technology, processes, and policies must always comply with this effort and we have worked tirelessly to ensure it. We hoped that other developers would join us in this effort and they did. We hoped that gamers would cry out for more and they did. Of course, cross-platform play is not something Psyonix and Rocket League can do on it’s own. It takes the substantial cooperation and coordination of many partners, most notably the platform holders themselves. It is with the greatest joy that I can now acknowledge that all the major consoles are making progress towards a truly all-platform cross-platform play experience! I want everyone to understand just how much of a priority this is for us and always has been for our team. There are still many factors, some of which take time, that means we have to have some patience. I am excited beyond words and I wanted to make sure that our players know where we stand. I can’t wait to see our vision for a truly unified Rocket League community finally realized. Rocket League is out now on PC, PlayStation 4, Xbox One and Nintendo Switch.